The American Go Association held its first International Go Symposium on August 4-5, 2012, with Nolan Bushnell, founder of Atari, the first computer game maker, as the keynote speaker. The Symposium was sponsored by the International Go Federation and attracted leading scholars and researchers from Asia, Europe and the US. 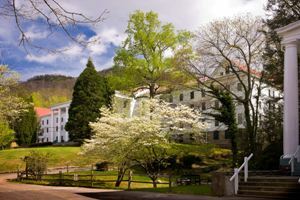 It took place at the beginning of the U.S. Go Congress in Black Mountain, North Carolina. The Congress is the largest annual gathering of Go players in the United States. Go is one of the oldest strategy games in the world and the presentations included some of the cultural, educational, artistic, historical, literary, and scientific aspects from its thousands of years of existence. We hope that this Symposium will stimulate and deepen research in the field, and enhance the public's awareness of the importance and benefits of the game. The proceedings were broadcast live and are now available for viewing at the Video Recordings webpage.